This is not a full ManicTime Windows port to Mac. It is only a tracker, which can send computer usage data to ManicTime Server, where you can view the reports. 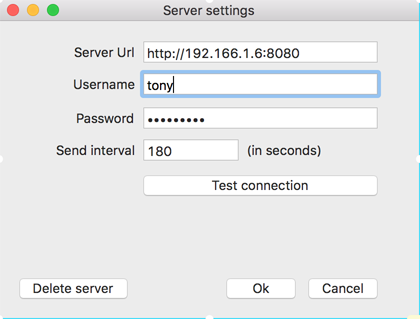 To use it, you need to have ManicTime Server v3.2 (released in March 2016) or later installed on some Windows machine. 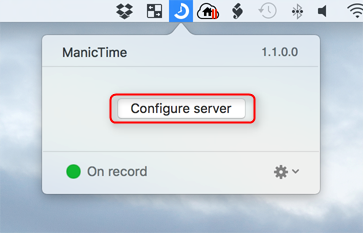 You can see ManicTime server version in bottom right corner of any page on ManicTime Server. Download .dmg file, double click to unpack it, then again double click on pkg file. Once it is installed, you can run it from your Applications folder. If it runs successfully, you should see ManicTime icon in the status menu bar in the top right corner. First enter the ip and port information of ManicTime server. Then enter your username and password (if server is using Windows authentication, then these are your Windows credentials, same as when you login to Windows). Then go to the ManicTime server, Administration, Connected devices. You should see Mac machine under connected devices. 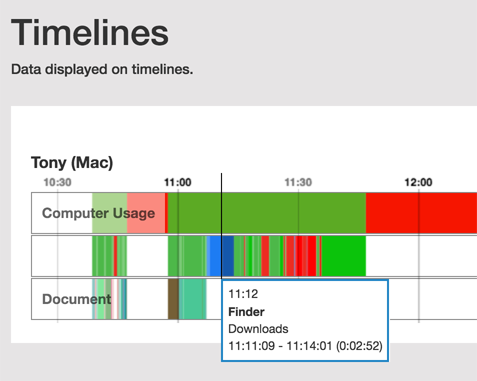 You should also see data coming from Mac on Timelines report. 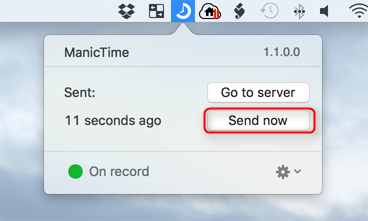 If you do not, click on Send now (in ManicTime icon menu).